If you’re interested in giving your property renewed curb appeal, then consider an iron fence. These kinds of fences always make a statement and can be constructed in any style and design you dream up for your home. For design inspiration, watch this video of iron gates from all over the world. These gates are the perfect finishing touch to iron fencing and add dramatic aesthetic appeal without limiting the view to or from your outdoor space. Whether you’re looking for wrought iron fencing, gates, or gate hardware, A-1 Fence Inc. can help you get the right look for your property. We’ve been offering fence installation and repair in San Jose since 1990 and are experts in working with a variety of fencing material and styles. Learn more by calling us today at (408) 259-2955. Whether you’re building an access gate around your home or business, nothing beats the convenience, security, and curb appeal of an automated gate. 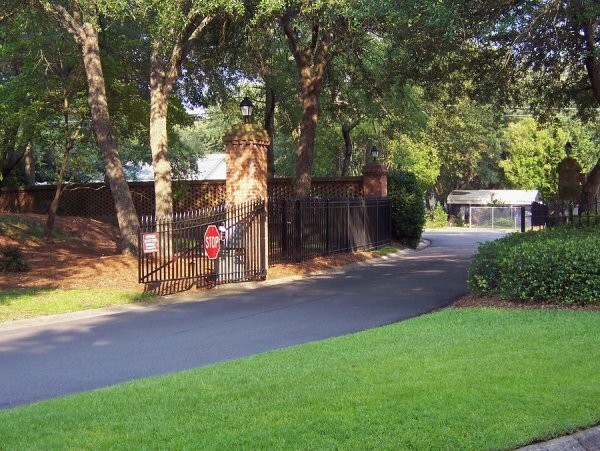 There are a variety of options to available for your automated gate, including swing gates, overhead gates, barrier gates, and tiger’s teeth gates. When you work with a fencing contractor in San Jose , you can achieve any desired look with a new automated gate. 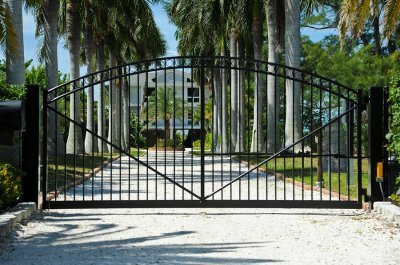 Here are some of the top benefits of installing an automated gate on your property. One of the primary advantages of an automated gate is the fact that automated gates are more convenient than manual gates. Instead of driving up to the gate, parking, getting out, opening the gate, pulling through, parking, and closing the gate, you can open an automated gate using your smartphone, a keypad, or an access card to drive through quickly and easily. Your San Jose fence builder can provide you with a number of different access solutions to fit your needs. In addition to more convenient access, automated gates can also increase the security around your home or business. Manual gates are easy to open, and it can be easy to forget to close the gate behind you after driving through. With an automated gate, you won’t have to worry about leaving the gate open or unauthorized visitors from passing through. If you want to impress your guests before they come into your home or business, you can give a great impression with an automated gate. Driving through an automatic wrought iron fence is an undeniably luxurious experience, and one that your guests will be sure to take note of as they pass through the gate onto your property. Your San Jose fence builder can help you come up with a gate and fence design that will convey the luxury you are aiming for. 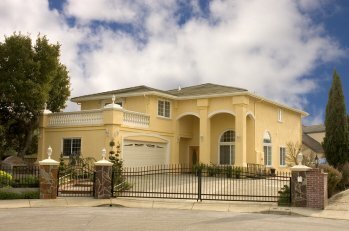 At A-1 Fence, we have years of experience making custom iron fences in San Jose for our residential and commercial clients. Whether you want a basic iron fence or one with extensive ornamentation, A-1 Fence has the experience and expertise to make the perfect fence for you. Continue reading to learn more about the style options we offer with our ornamental iron fences. With their refined and classic appearance, iron gates offer an excellent look to any property. And owing to the strength of iron and the durable construction of our ornamental fencing , your iron gate will keep your property secure. Many people install an ornamental iron gate for their driveway to prevent people from entering the driveway without permission. At A-1 Fence, we install automatic iron gates that make for an attractive and practical entrance to your property or business. We also offer manual iron gates that homeowners often like to use for the swimming pool area. A-1 Fence, we can provide iron fencing as small as window guards and as large as fencing for the entire property. We offer iron fencing for our residential customers, whether it’s for the front yard, backyard, swimming pool, or play area for your dog. But we also have extensive experience installing iron fences for large properties, such as apartment and condominium buildings. We even make small- and large-scale commercial ornamental fences for business owners who want to secure their property in an attractive way. We offer a range of ornamental designs as A-1 Fence. Our typical ornamental iron fence design is simple and features unornamented horizontal rails and basic vertical stiles or pickets. In some of our designs, the picket extends past the top rail and is crowned with various finial designs, such as a spiral or arrowhead. At A-1 Fence we often make ornamental fences where finial-topped pickets alternate with shorter pickets that don’t have finials. We can make more complex designs that feature arched pickets, scrollwork, or geometric ornaments as well. We can even design our iron fences with offset rows of pickets to increase your privacy. An automatic gate not only adds value to your house, but it makes it more secure and enhances its curb appeal. If you are thinking of installing an automatic gate on your property, A-1 Fence, a premier San Jose fencing company , has a wide range of options for you to choose from. A-1 Fence offers five primary types of gates: overhead, barrier, swing, slide, and Tigers Teeth. We have hydraulic and mechanical automatic gate openers that can swing open or close, or slide with a manual device or a wireless transmitter. We even have energy efficient, low voltage gate openers fitted with solar panels to ensure your gate can always open, even when the power is out. We also offer a range of automatic gate control devices, including telephone entry, transmitters, keypads, timers, intercoms, card readers, indoor push buttons, and emergency entry devices. Consult with the fence contractors at A-1 Fence Inc. today to see which type of automatic gate would be best for your fencing needs.